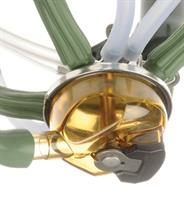 Slow milking quarters can occur when the milking vacuum causes the inflations to move up on the teat during milking. On some teats the milk canal becomes pinched and the milk flow is partially or completely restricted. Today’s high producing cows need a milking system that can handle higher flow rates to effectively produce all they are capable of. When the system is restricted, vacuum fluctuates and becomes unstable. 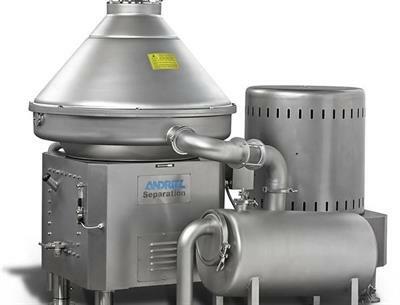 This will cause milk flow to slow down due to the decreased vacuum, liner movement is compromised, and cross contamination becomes a risk. By Fisher & Thompson Inc based in Leola, PENNSYLVANIA (USA). 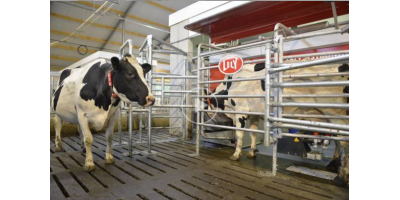 These labor-efficient milking parlors, which enable a constant daily cow routine, suit dairies that require high hourly throughput. 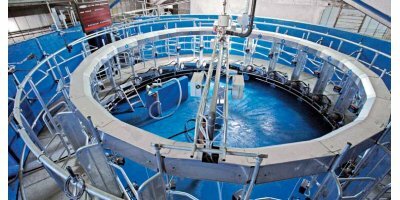 Rotary parlor operators remain in one place to put on the cups, while the constant cow flow allows milkers to focus on essential tasks in a safe environment.